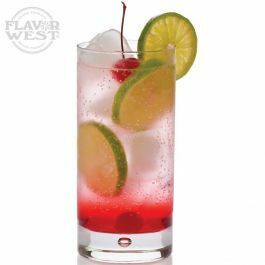 Shirley temple flavor is a smooth, sweet and aromatic flavoring from a mix of lime soda with a splash of cherry. Get going all day with Shirley temple flavor in your creation. Type: Shirley Temple Water Soluble Flavoring. Ingredients: Natural and Artificial Flavoring, Propylene Glycol and Ethanol. USP Kosher Grade Flavoring. Usage Rate: 15-20% for E-use. Flavor Suitability: Suitable for desserts, ice creams, pastries, candies, lip balm and more. Specific Gravity: 1.04 No Refunds on Flavoring. Mixed 17% flavor 20 PG 80 VG 6mg nic using it on big block atty . 4 ohms on a mech box mod the taste surprised me... On the inhale I experience a lemon lime carbonated flavor and exhale a light sweet cherry. Enjoying this one a lot.